Bijan Dhar said as the BJP did not fulfil most of its poll promises, it is against holding elections, through which public opinion could be reflected. 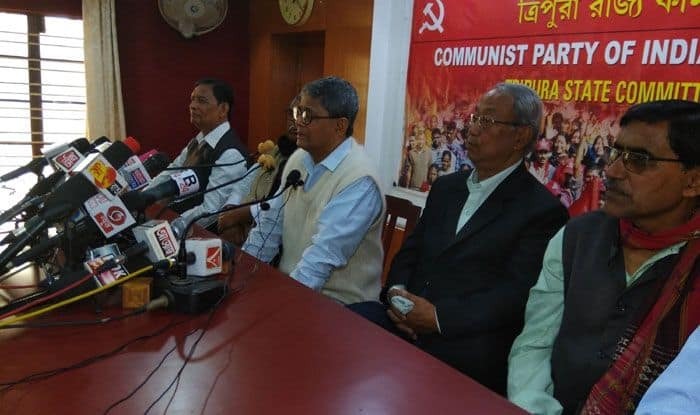 If the Bharatiya Janata Party (BJP) returns to power after the Lok Sabha polls, it would turn India into a “fully religious nation”, Communist Party of India-Marxist (CPI-M) Central Committee member Bijan Dhar said on Sunday. The BJP, which is backed by the Rashtriya Swayamsevak Sangh (RSS), in its present five-year tenure, embarked on a plan to turn India into a “religious nation” and after the 2019 Lok Sabha polls they would complete the mission to turn India into a “fully religious nation”, Dhar said. The Left leader said as the BJP did not fulfill most of its poll promises, it is against holding elections, through which public opinion could be reflected. “Since the BJP came to power, over five crore people have lost jobs. In 2018 alone, 1.10 crore people lost jobs, specially due to the introduction of the GST (Goods and Services Tax),” Dhar said.